Once upon a time, Catholic-Protestant strife scorched Europe. In the seventeenth century, for example, about eight million people died in the Thirty Years War, almost a tenth of the estimated total population. Germany’s male population was cut by nearly half. There were also civil wars in France, England, Scotland, and Ireland, killing millions more. The Troubles in Northern Ireland in the late twentieth century were less deadly, but still deadly. So intra-Christian conflict is not that unusual. Yet, far away in the Pacific, Spanish rule kept the competition away from Philippine shores. From northern Mindanao on up, there was no choice but Catholicism. When a hundred or so Yankee missionaries arrived on Philippine shores around 1900, though, things changed. There was no armed conflict, but the competition was still fierce. At least, the Protestants thought it was fierce. But over a hundred years later, only a small proportion of the Philippine population identify as Protestant—between two and ten percent, depending on whether you include independent nationalist movements with the American imports. Yet, despite this relatively small number, early American missionaries still had a significant impact on the face of Filipino society. 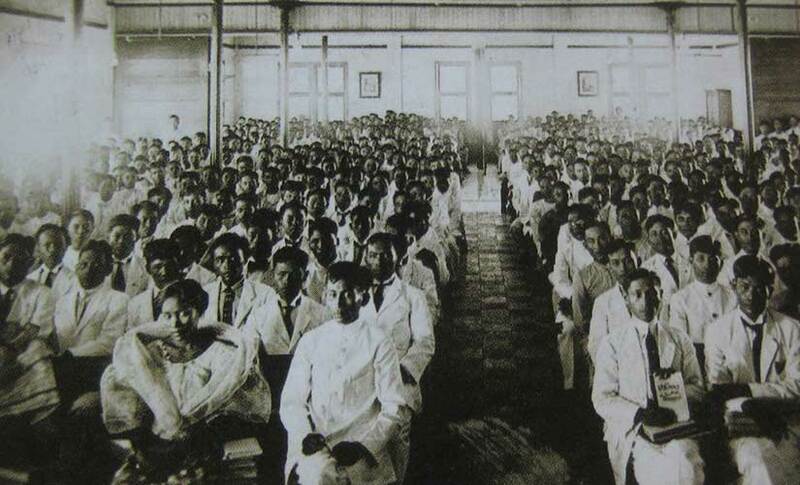 Presbyterian missionaries at Silliman University in Dumaguete, as pictured in The Assembly Herald. American Protestants did not want to see the return of the Spanish friars who had fled the country in the 1896 Philippine Revolution, and so they spread themselves out as widely as possible throughout the islands, taking up positions in vacated towns. They divided the large islands among themselves: the Presbyterians got Negros and Samar; Panay went to the Baptists; Mindanao went mostly to the Congregationalists; and Luzon was split between the Presbyterians, Methodists, and United Brethren. Only the Seventh Day Adventists and Episcopalians did not ratify this agreement. 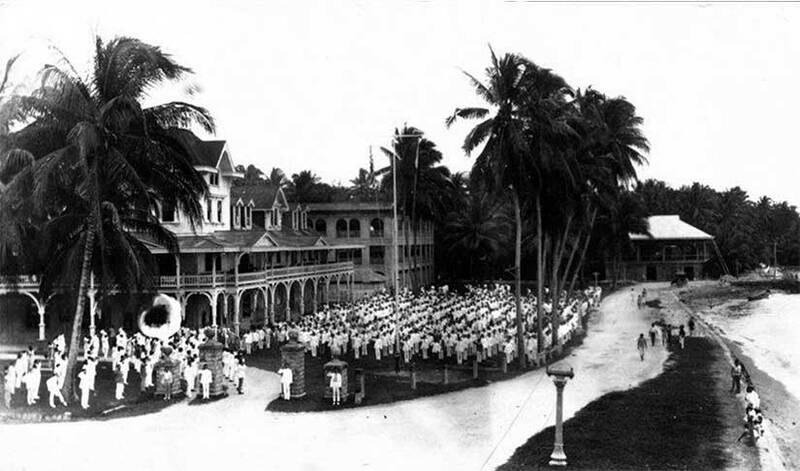 A picture of Silliman University dating from 1909 at the earliest. Silliman University in Dumaguete was begun by the Presbyterian missionary couple David and Laura Hibbard. 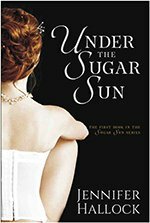 In my Sugar Sun series, I’ve renamed the school Brinsmade and taken a lot of liberties with the characters, but it’s not all fiction. A lot of the general priggishness that comes out of the mouth of my character Daniel Stinnett, president of Brinsmade, is stuff American missionaries really said or wrote down. In my new novella, Tempting Hymn, you get a very intimate look at what these communities might have been like. My hero, Jonas, is a good man whose ecumenical faith will be challenged by some of the more small-minded missionaries with whom he works. It was important to me that Rosa and Jonas find common ground in a world complicated by church politics and colonial attitudes. I sometimes get to write what I wished had happened in history. And, it is true, the missionaries did do some good work. First, they could be more inclusive than normal colonial officials. They offered opportunities for Filipinos to join their ranks as members, ministers, and missionaries. At Silliman, a Filipino had to pass an examination and earn the members’ vote, but if he or she (most likely he) did so, he could be tasked to spread the word throughout the rest of Negros and Cebu islands. By 1907, only six years after the founding of Silliman, there were five ordained Filipino ministers. They could preach in their vernacular languages—in fact, it was encouraged in order to reach a wider audience. An assembly of students at Silliman Hall, reprinted from the Sillimanian. One boy, Andres Pada, who came to us a raw unlikely specimen three years ago has been appointed an Inspector of the Secondary Public School building and is giving good satisfaction. Another boy named Apolonario Bagay has been appointed as overseer of the roads for a portion of the province and is doing good work there. Four or five of the boys have gone out this year as teachers in the public schools of the province, and though they have not had enough training to do very good work yet, I have heard no complaints. Okay, that seems like being damned with faint praise, but it was quite complimentary by American missionary standards. And Silliman was so popular in the region that they had more applicants than they could handle. They had to turn away boarders and take only “externos,” or day students. The local elites embraced the Hibbards and Silliman in general. In 1907, Demetrio Larena, the former governor of Negros Oriental province (and brother to the mayor of Dumaguete), converted to Presbyterianism. Silliman is now one of the best private universities in the Philippines, and it might have grown strong partly because of the very favorable town-gown relations, right from the start. Reverend Ricardo Alonzo, the first Presbyterian minister, and ex-Governor Demetrio Larena, Presbyterian convert, from The Assembly Herald. American missionaries did more than educate, though. They also brought medical personnel to Asia. Interestingly, several of these doctors were women. In the Presbyterians’ list of new missionaries in June 1907, there were three single female doctors—two were sent to China and one to the Philippines. Another woman physician, Dr. Mary Hannah Fulton, started a medical college for women in China. One female doctor, Rebecca Parrish, will be the model for a future character of mine, Liddy Sheppard, heroine of Sugar Communion. Parrish founded the Mary Johnston Hospital and School of Nursing in an impoverished area north of Manila, and she would give 27 years of service there before retiring. In 1950 Philippine president Elpidio Quirino bestowed upon her a medal of honor for her work. I’ve taken some liberties (as I do), but her passion for providing a safe place for women to give birth will translate to my heroine, Liddy. Pictures of Dr. Rebecca Parrish, third from the left in the first photo. Images courtesy of She Has Done a Beautiful Thing for Me by Anne Kwantes. Three hundred years have passed since this people first heard the Gospel from the Catholic Priests, and yet their condition morally is appalling….Saints and Mary are revered and worshiped while Christ is forgotten, and His place usurped….They know nothing about Christ or the Bible; their religion is a mixture of paganism with Christianity with the religious nomenclature. Some more pictures of Silliman University that inspired my Brinsmade Institute, including the chapel and bell tower that Jonas plans to build (left) and the houses like the one in which Jonas and Rosa lived (right). 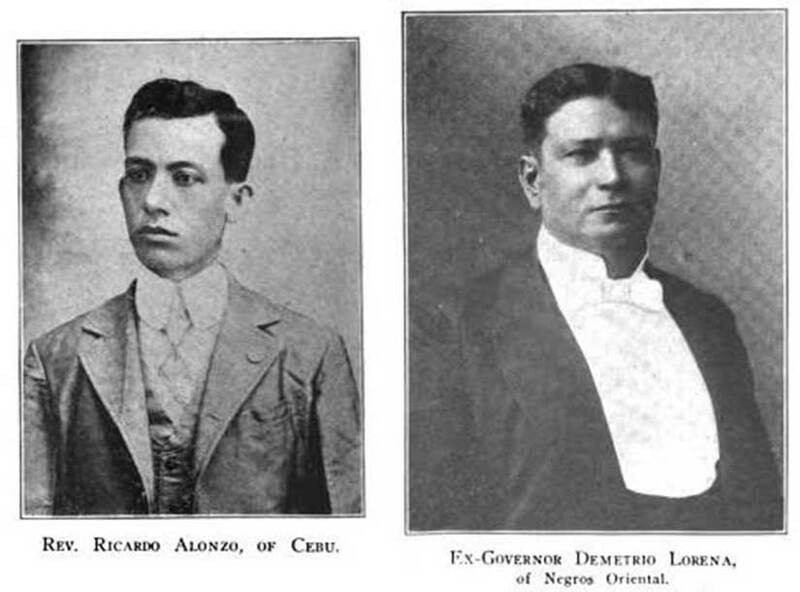 Photos courtesy of The Assembly Herald in 1907 (left) and 1906 (right). Still, in the end, the Protestants had more in common with each other than with the Catholics. And since the enemy of my enemy is my friend, the American denominations—the Presbyterians, Disciples of Christ, Evangelical United Brethren, Philippine Methodists, and the Congregational Church—would decide to merge into the United Church of Christ in the Philippines (UCCP). It was their hope that this would provide more unity to fight the Catholic front. It was not very successful. These more traditional churches would end up losing the war to the nationalized independent churches (like Iglesia ni Cristo), along with the Seventh Day Adventists and more recent missionaries like the Jehovah’s Witnesses. But, in the end, numbers may not matter. The real impact these missionaries would have would be social and academic, not spiritual. Featured image of an old Dumaguete postcard. In February I will be boarding a plane for Manila. It will take me 24 hours airport to airport, and that will feel like a long time. I will probably complain about how tired I am, or how small airline seats have become. Both will be true. But my Edwardian sisters—known as “Gibson girls” after popular illustrator Charles Dana Gibson—would be shocked by how spoiled I am. For them, a trip from Boston to the Philippines would have taken seven weeks. And they thought themselves lucky, since the 1869 opening of the Suez Canal had cut the trip in half. Their bargain ticket would have cost $120 in 1900—the equivalent of almost $3500 today. My ticket cost around $800. I also have another advantage: knowledge. I know what the Philippines are like. Things may have changed in the last five years, as things do, but generally I know what I will find. But my three Gibson girls featured here—Mary Fee, Annabelle Kent, and Rebecca Parrish, M.D.—did not. These women either had no information or bad information about the Philippines. For example, a United States senator, John W. Daniel, from Virginia explained that “there are spotted people there, and, what I have never heard of in any other country, there are striped people there with zebra signs upon them.” To you or me such drivel is beyond racist to the point of being ludicrously stupid, but Senator Daniel thought this information important enough to pass along in the middle of a government hearing. If travel to the Philippines was long, expensive, and potentially dangerous, why did women like Fee, Kent, and Parrish do it? Their reasons probably varied. 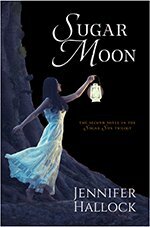 Fee, a teacher, may have gone for the good salary; Kent wanted to prove that she could travel the globe alone; and Parrish was a medical missionary whose faith led her to the islands. But there is one thing all three women had in common: they were more adventurous than the average man of their day. And they were probably more intrepid than me. From left to right: the cover of Mary H. Fee’s memoir (from the New York Society Library); a portrait of Annabelle Kent in China (from her book Round the World in Silence); the legacy of Rebecca Parish as seen through a nurses’ basketball team for the Mary Johnston Hospital in 1909 (print for sale on eBay); and the classic Gibson girl image on a music score (courtesy of the Library of Congress). Let’s start with Mary Fee, principal of the Philippine School of Arts and Trades in Roxas City. 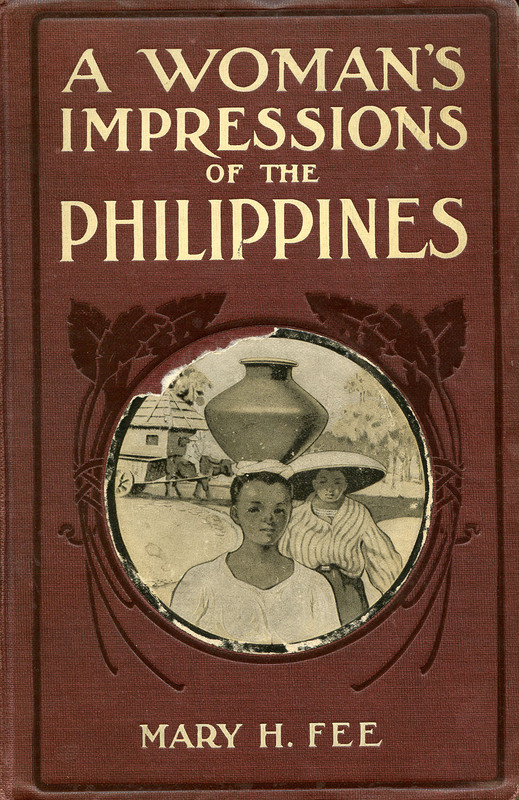 Fee was one of the first teachers sent by the U.S. Government to establish a secular, coeducational, public school system throughout the Philippines. The Thomasites, as they were called, were sent all over the islands with their Baldwin Primers to read lessons on snow, apples, and George Washington—and none of the students knew what the heck they were talking about. Mary Fee realized that the point was to teach her students to read and write in English, not to have a comprehensive understanding of American meteorology. Soon she was one of four authors (including another woman) of a new Philippine Education series. The First Year Book had lessons about Ramon and Adela, not Jack and Jill. They learned about carabao, not cows. Stories included the American flag, but it was small and in black-and-white, not a full-page color spread. The women went to market for fish and mangoes, and they wore traditional clothing. In other words, the book made sense to the children who read it. Two pages from The Baldwin Primer and two from The First Year Book, showing the differences in content for the Philippine audience. 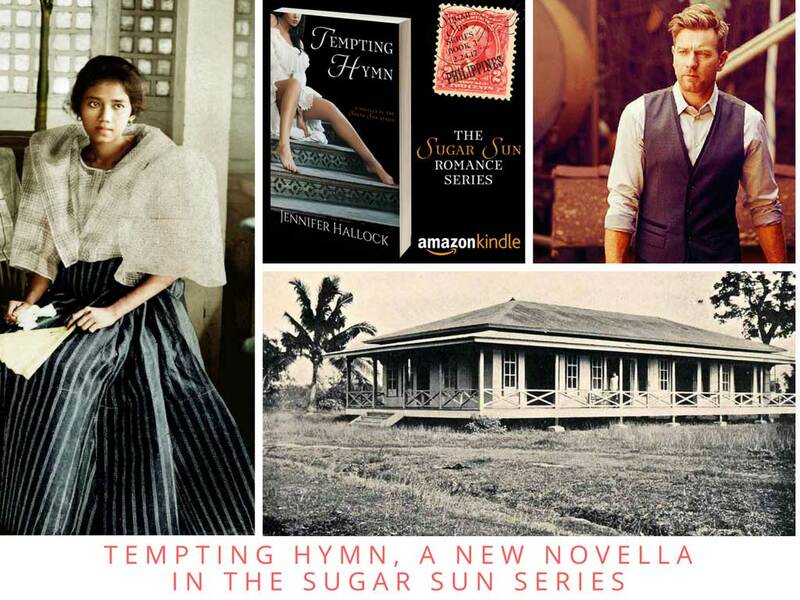 I relied upon Fee’s memoir, A Woman’s Impressions of the Philippines, for help in creating my character Georgina Potter in Under the Sugar Sun. I exercised artistic license, of course: Fee’s faithful description of the Christmas Eve pageant, for example, was turned into a courtship opportunity for my hero, Javier Altarejos. Though Fee would eventually return to the United States—not marry a Filipino sugar baron—I am happy to say that her spirit lives on. A deaf young lady made the remark to me once that it was a waste of time and money for a deaf person to go to Europe, as she could get so little benefit from the trip. I told her that as long as one could see there was a great deal one could absorb and enjoy. 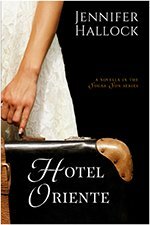 I knew right then that Annabelle Kent would be my model for a new character, Della Berget, in Hotel Oriente. At a time when American senators were postulating about people striped like zebras, Kent was getting a steamer and seeing everything for herself, including schools for the deaf in China and Japan. The book is the most joyful travel memoir I have ever read. My final Gibson girl, Rebecca Parrish, was used to being a trendsetter. She was a doctor at a time when medicine was a possible career choice for a woman, but not a common one. And, in the Philippines, it was unheard of. One of her first skeptical patients asked, “Can a woman know enough to be a doctor?” Parrish had to prove herself a million times, by her own account, but she did. Philippines stamp commemorating the centennial of Parrish’s creation, the Mary Johnson Hospital. Image courtesy of Colnect stamp catalog. The hospital on the left was Parrish’s original, which was destroyed in World War II. It was rebuilt larger, as pictured on the right. Parrish built a 55-bed hospital in Tondo, the Mary Johnston Hospital, that operated on the principle that no one could be turned away. The hospital began its working life fighting a cholera epidemic but transitioned into a maternity clinic with a milk feeding station. Today, it is a teaching hospital specializing in internal medicine, obstetrics, gynecology, and pediatrics. Parrish also opened a training institute for nurses. If the doctor seems like a busy woman, you are correct. She wrote: “Hundreds of days—thousands of days, I worked twenty hours of the twenty-four among the sick, doing all that was in my power to do my part, and hoping the best that could be had for all.” I get tired just thinking about it. Maybe these Gibson girls—Mary Fee, Annabelle Kent, and Rebecca Parrish—did not go “wild” in the cheap DVD series kind of way, but by contemporary standards they were braver than Indiana Jones. My trip to Manila will be tame by comparison, but I will try to honor the memory of those who came before me…and pick the in-flight movie they would want me to see. Featured image is “Girls Will Be Girls” by Charles Dana Gibson, found at Blog of an Art Admirer.